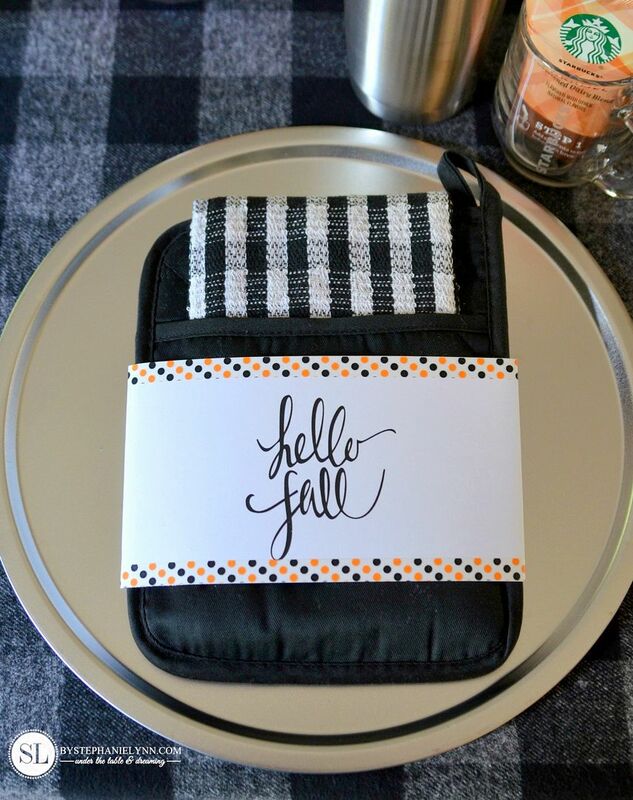 Fall has finally arrived and as our busy summers come to a close, crafting season is upon us! for a fun night of crafting. 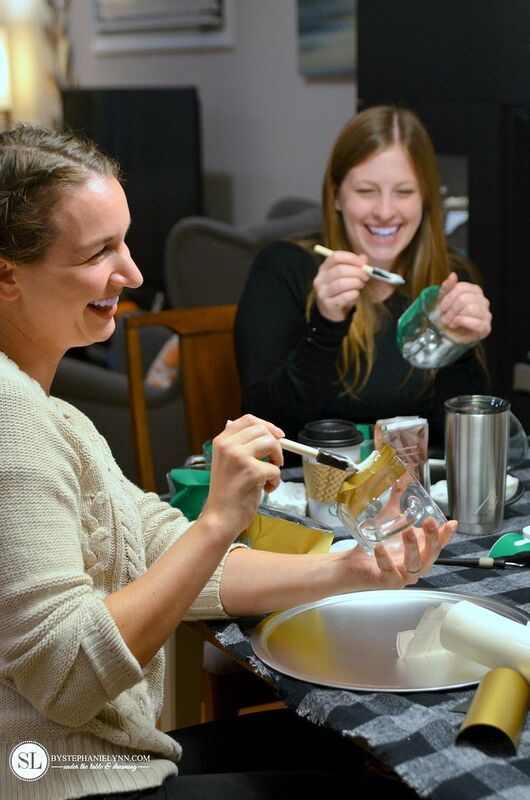 No matter how jam-packed the upcoming months tend to be, there’s nothing like taking a moment for yourself and gathering with like-minded souls to create, make and connect. 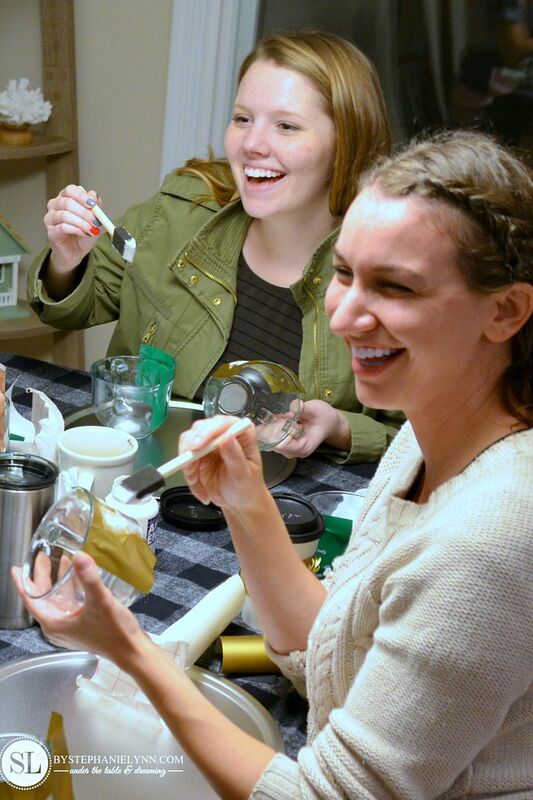 Crafting is always fun, but crafting together = magic! 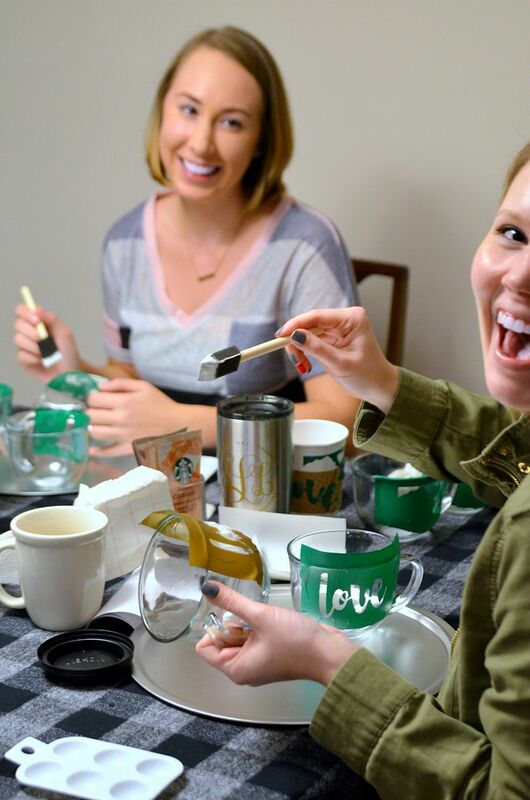 This month we kicked off the season with a Coffee & Crafts themed crafting party. 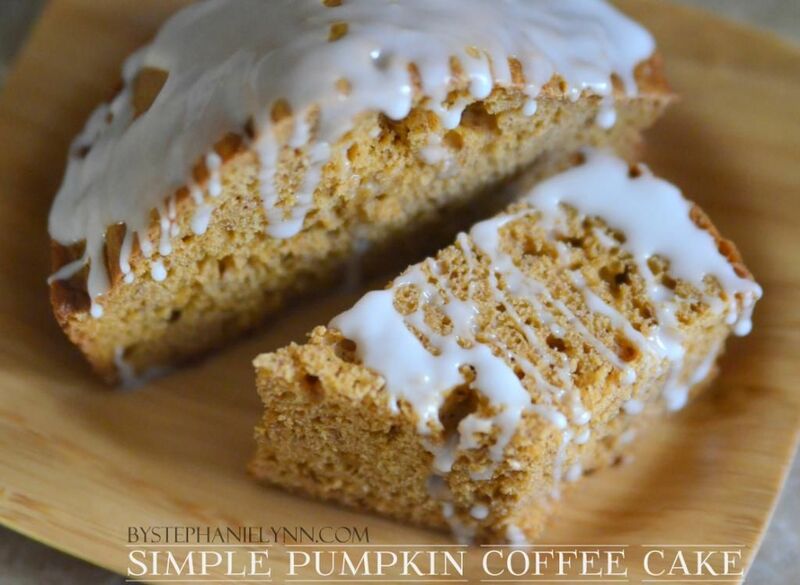 with the new Starbucks® Caffé Latte K-Cup® pods! 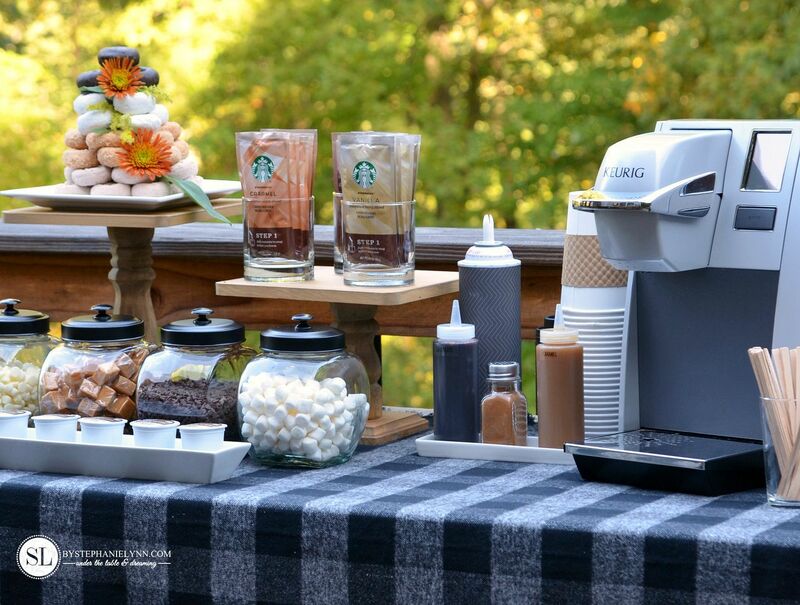 and, of course, the in-home Fall Coffee Bar, featuring Keurig and Starbucks® coffee. 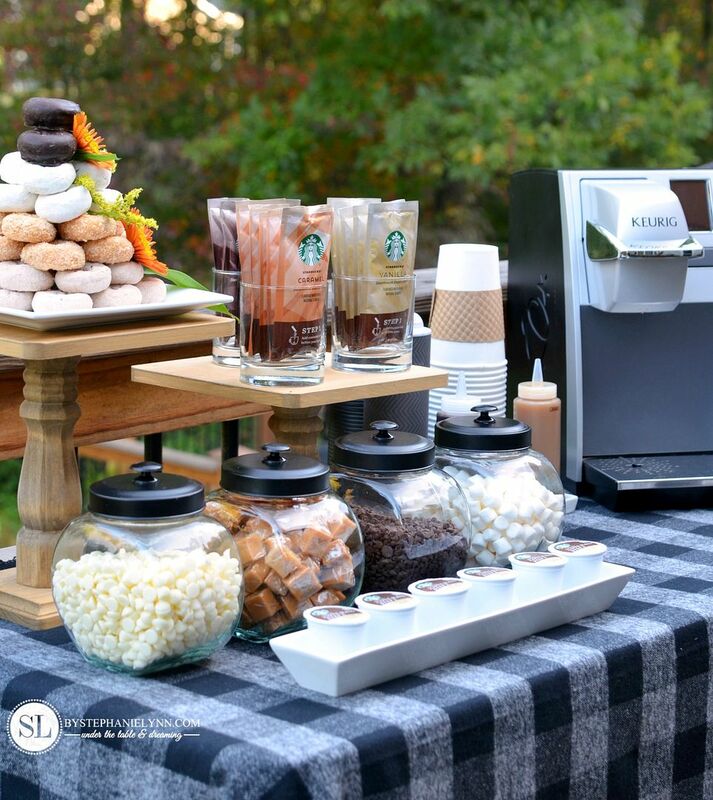 or simply gathering the girls for an in-home latte coffee bar, I hope you’ll be inspired! 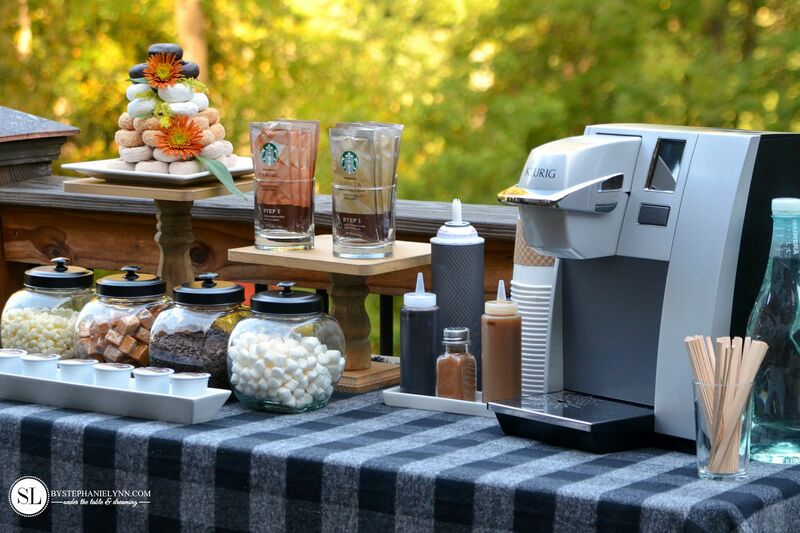 Every crafting party calls for some tasty treats and beverages. and allows you to spend more time crafting and enjoying your guests. 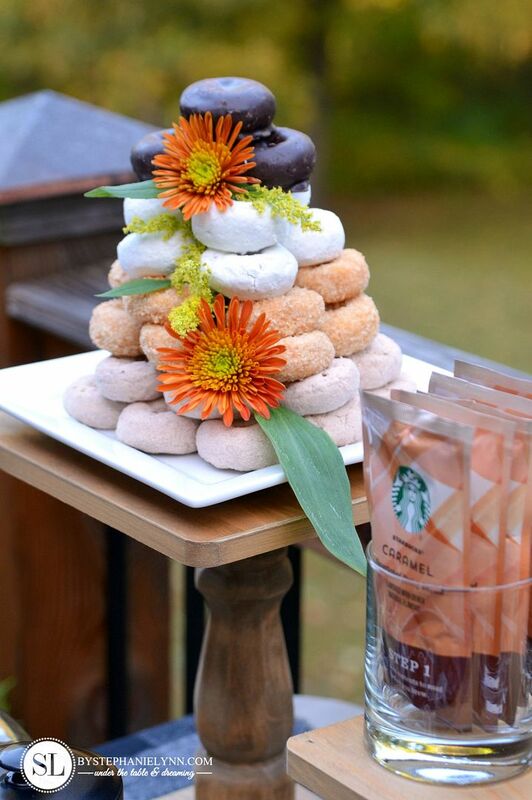 Here we have served our lattes with one of coffee’s favorite companions…doughnuts! 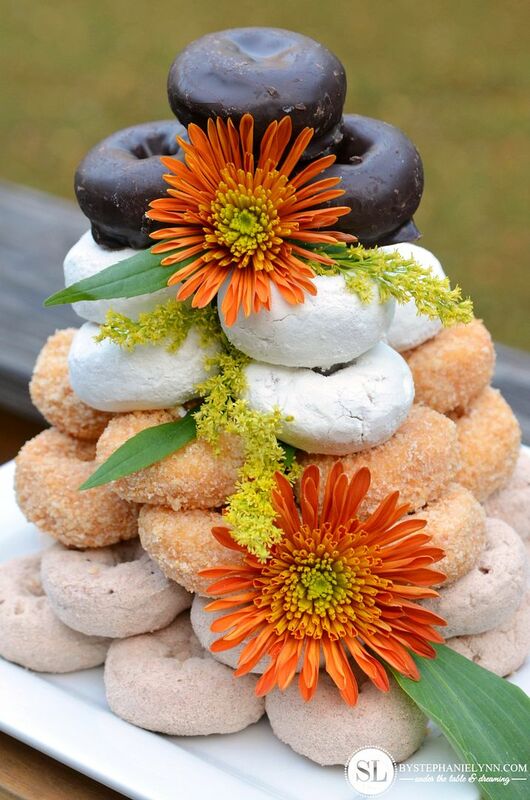 This simple and impressive display of mini doughnuts takes just minutes to assemble. 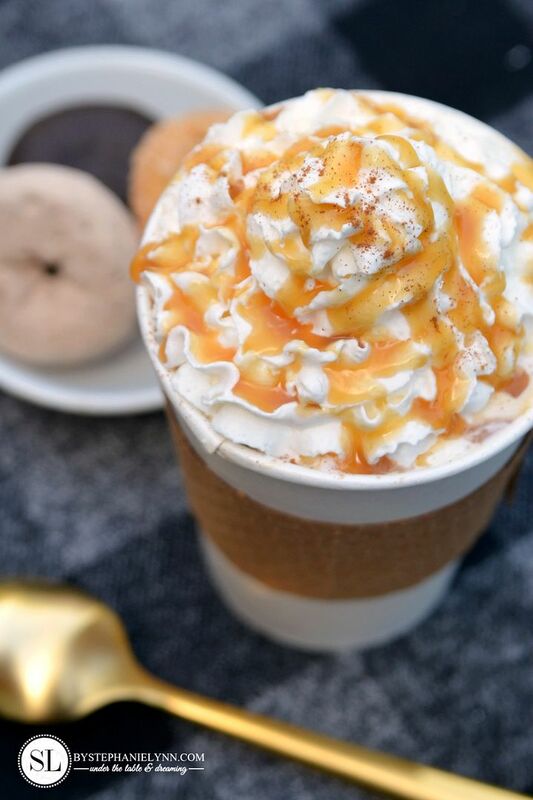 Simply grab four bags of your favorite mini doughnuts (we used pumpkin spice, caramel apple, powered, and chocolate). Begin by arranging the doughnuts in a circular pattern to form the base. 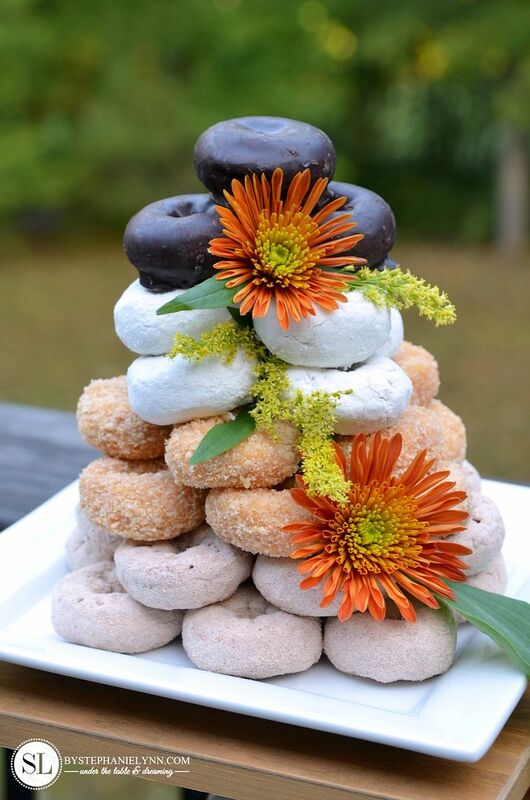 Continue stacking the doughnuts, in additional smaller layers, until a tower is formed. Add a few fresh flower buds and leaves for decor. 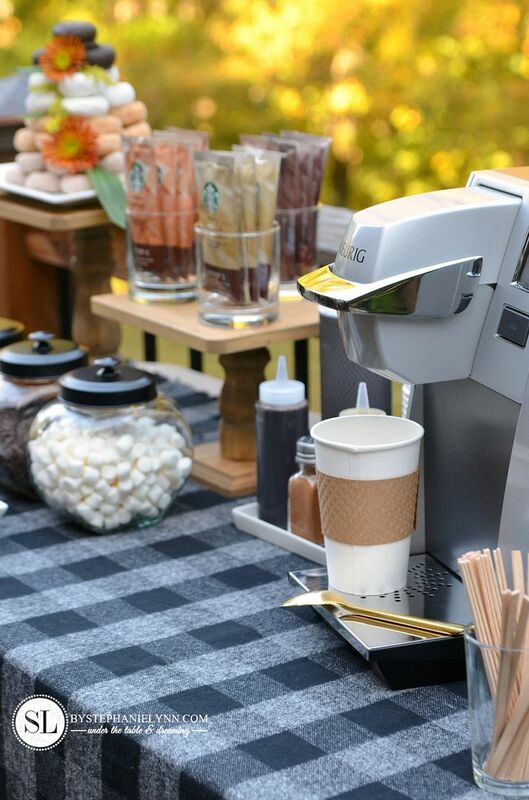 Of course the stars of this self-serve bar are the new Starbucks® Caffè Latte K-Cup® Pods. 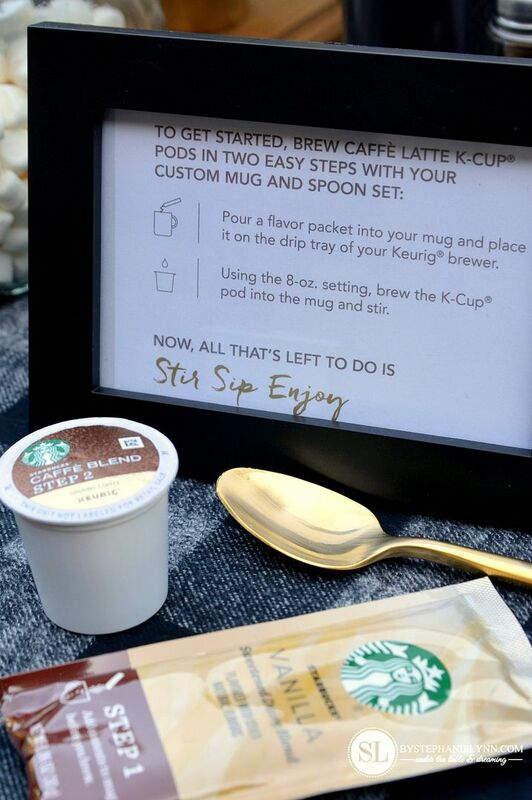 These Caffe Latte Flavor Packets and K-Cup® Pods allow you to whip up your favorite latte flavors, that only Starbucks® can create, right at home. 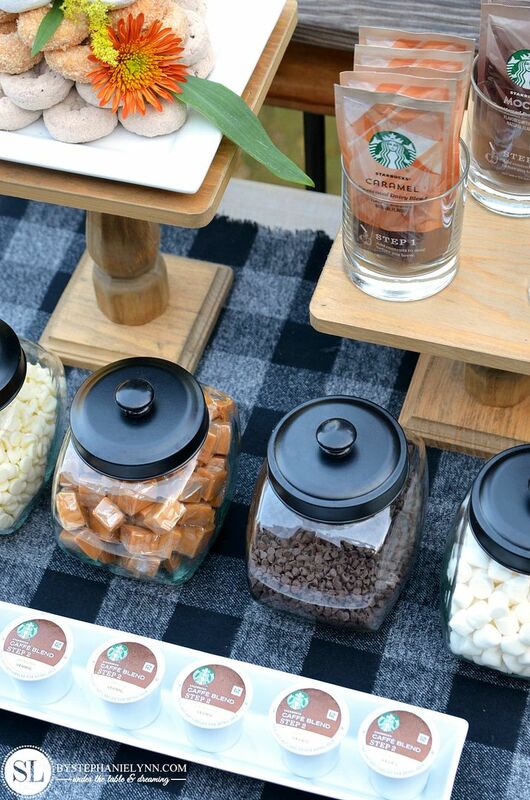 Every coffee bar needs some toppings and mix-ins for a little added fun. 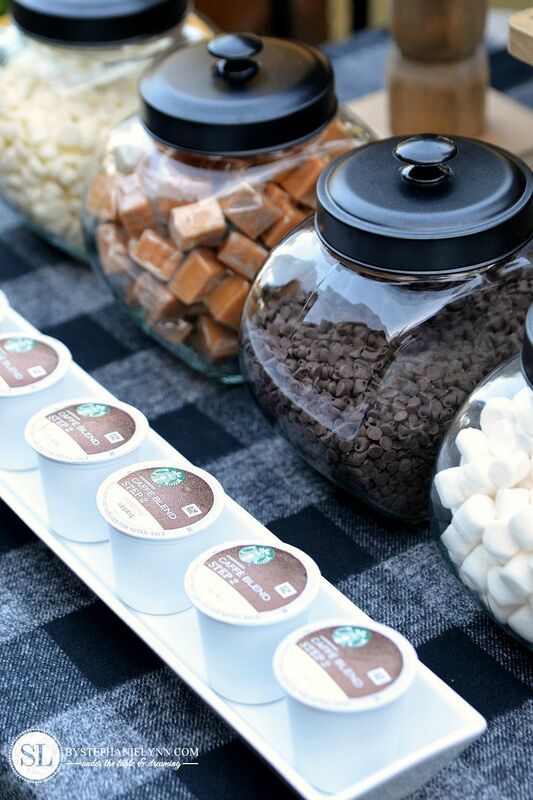 Here we have added vanilla chips, caramels, chocolate chips and marshmallows to compliment the latte flavors. 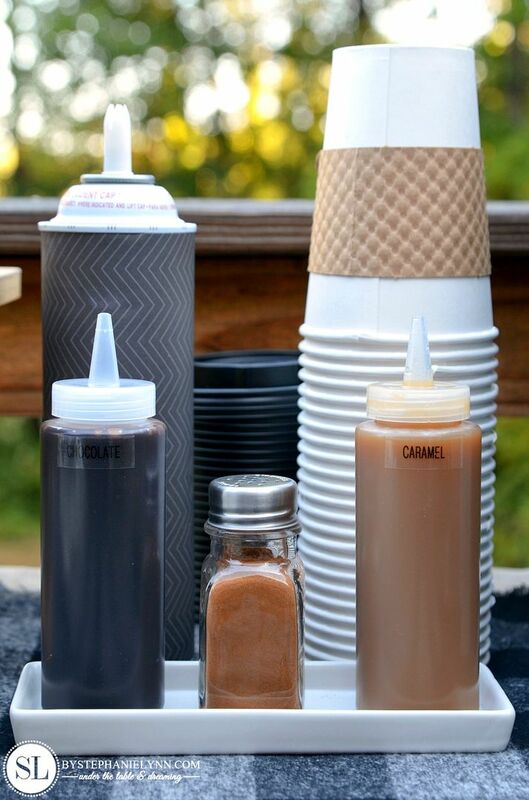 This Fall Coffee Bar also included chocolate and caramel sauce, along with cinnamon and whipped topping. 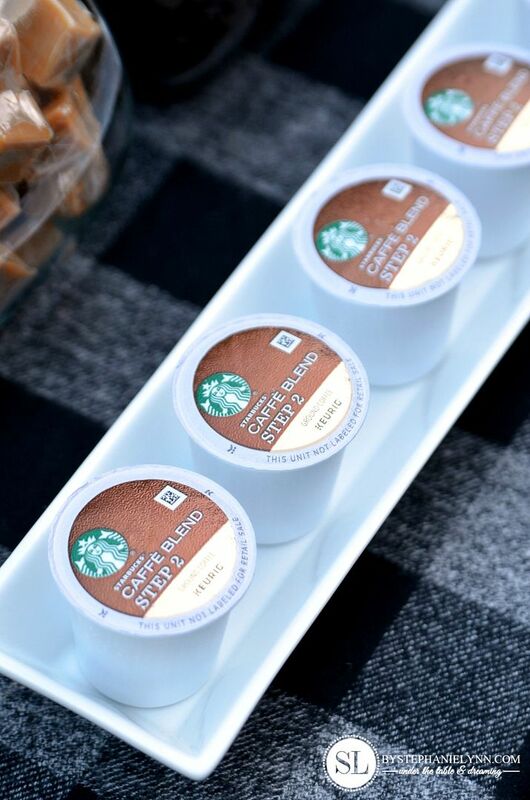 Each box of Starbucks® Caffè Latte K-Cup® Pods include flavor packets (made from milk with no artificial ingredients), along with Caffe Blend K-Cup® pods. There is a two-step process to make the beverage. 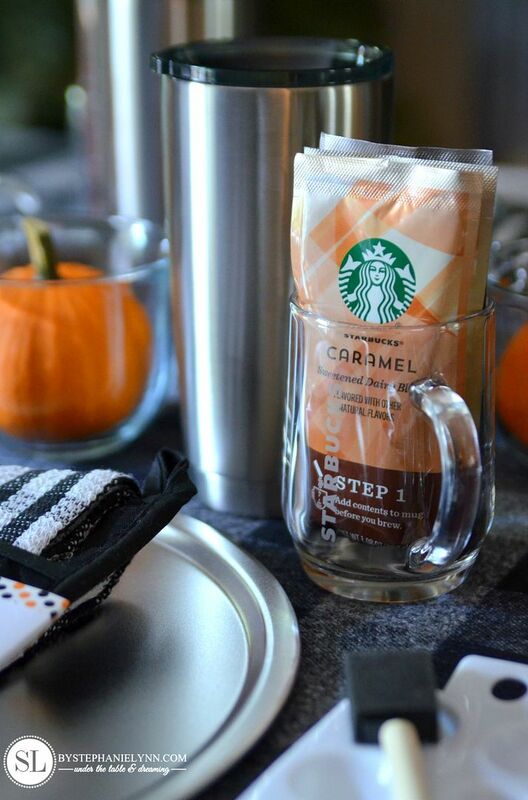 Step 1 – simply pour the flavor packet into your favorite mug. 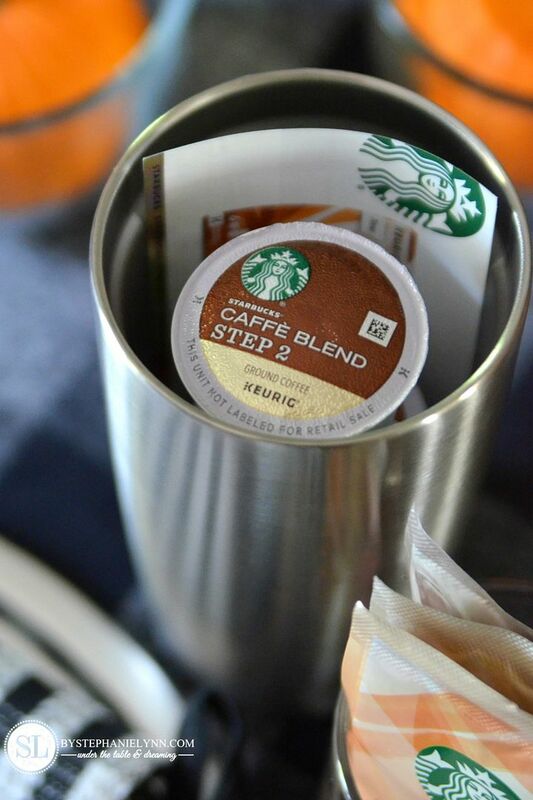 Step 2 – brew the Caffe Blend K-Cup® pod in your Keurig brewer, using the 8ounce setting, and stir to enjoy. 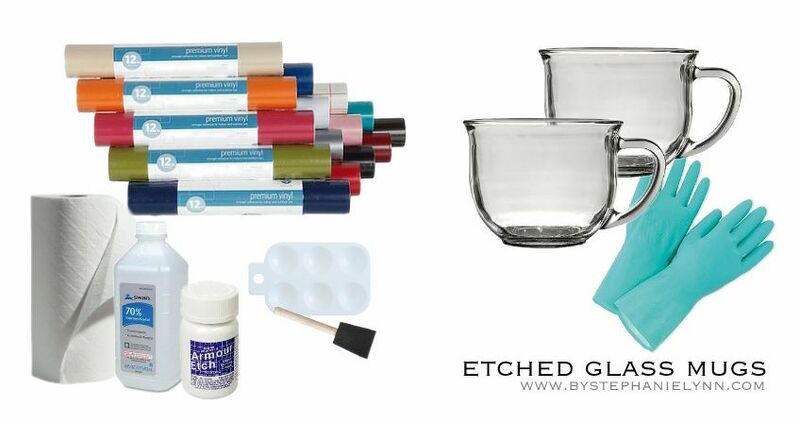 Prior to the guests arriving, gather all of the supplies to ensure you have everything you need for your projects. 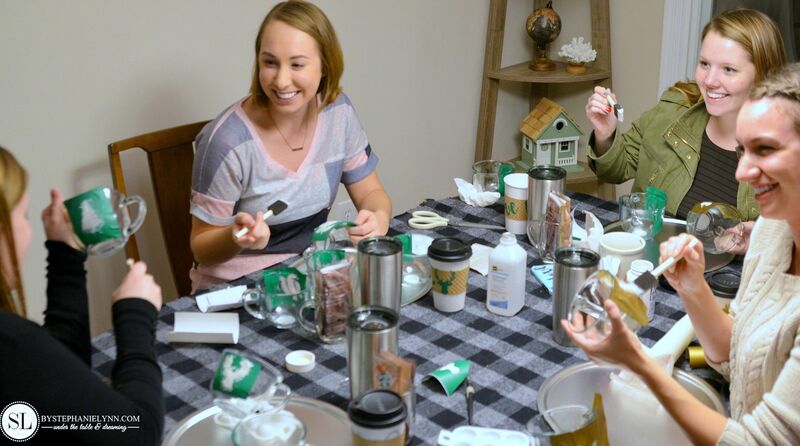 I like to either set up supply stations or actually set the table, like I did here for our Coffee & Crafts Crafting Party. but create a perfect individual workspace for each guest. 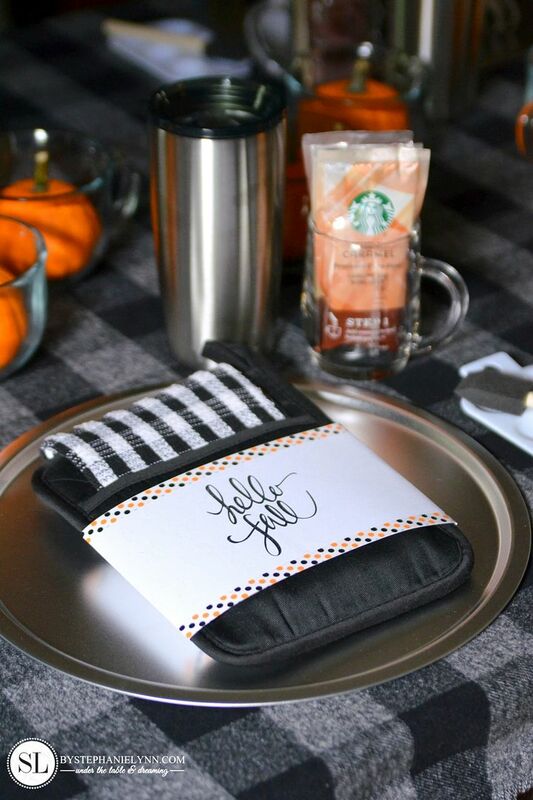 Here, they were topped with some favors for each guest to take home; pot holders and dish towels. Think outside the box when displaying the crafting supplies. 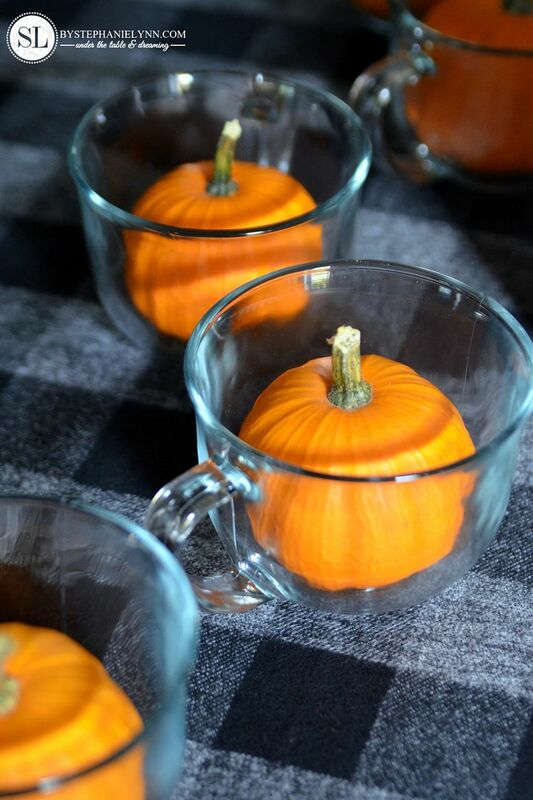 Here our glass mugs doubled as a centerpiece with the addition of a few inexpensive mini pumpkins – more goodies for the guests to take with them! Step One: Choose a design. Simple designs, letters or wording work best. Step Two: Cut the design out using vinyl, contact paper or simply use pre-purchased adhesive stickers. Our vinyl was cut using a Silhouette Digital Cutter, though it is not necessary. 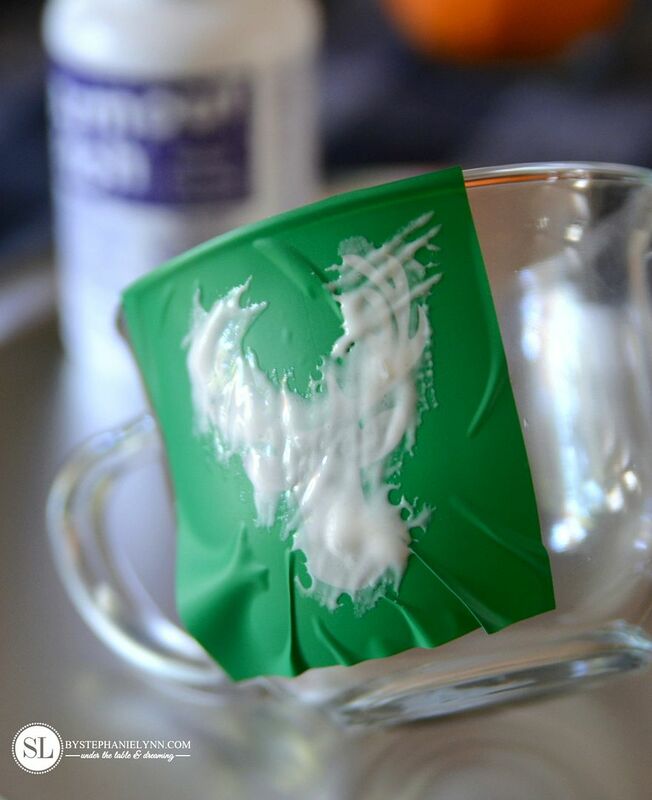 Step Three: Wipe the mug clean with (rubbing) alcohol to remove any oils or fingerprints from the glass. Step Four: Adhere the vinyl to the glass. If using vinyl, use transfer paper. Since the mugs are curved some of the vinyl will buckle. As long as the area around the cut out is completely sealed to the glass, the etching will work. 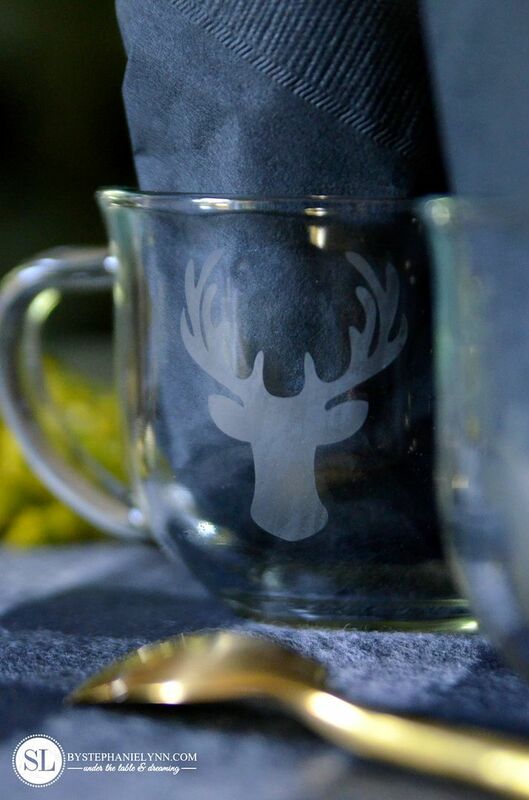 Step Five: Shake the etching cream to mix and apply a generous amount on the area to be etched. Use caution with the cream, as directed on the label, not contacting your skin or other surfaces. Use rubber gloves as needed. 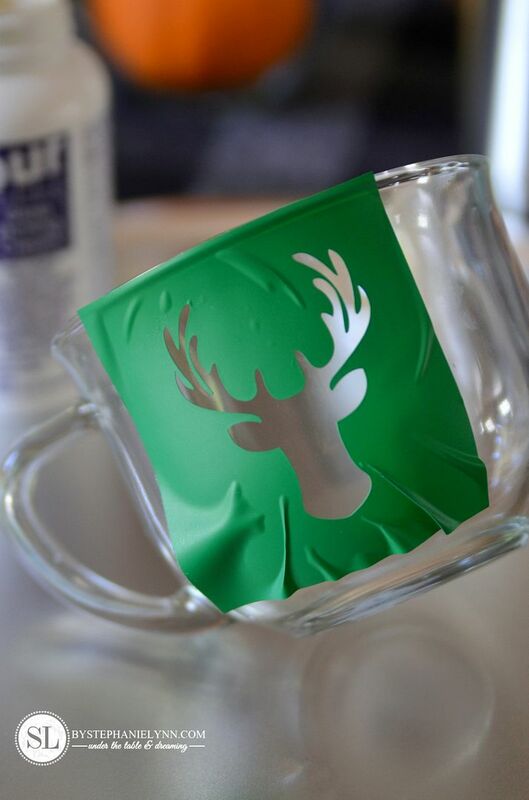 Step Six: Leave the etching cream on for three minutes, then hold the mug under warm water to rinse completely. 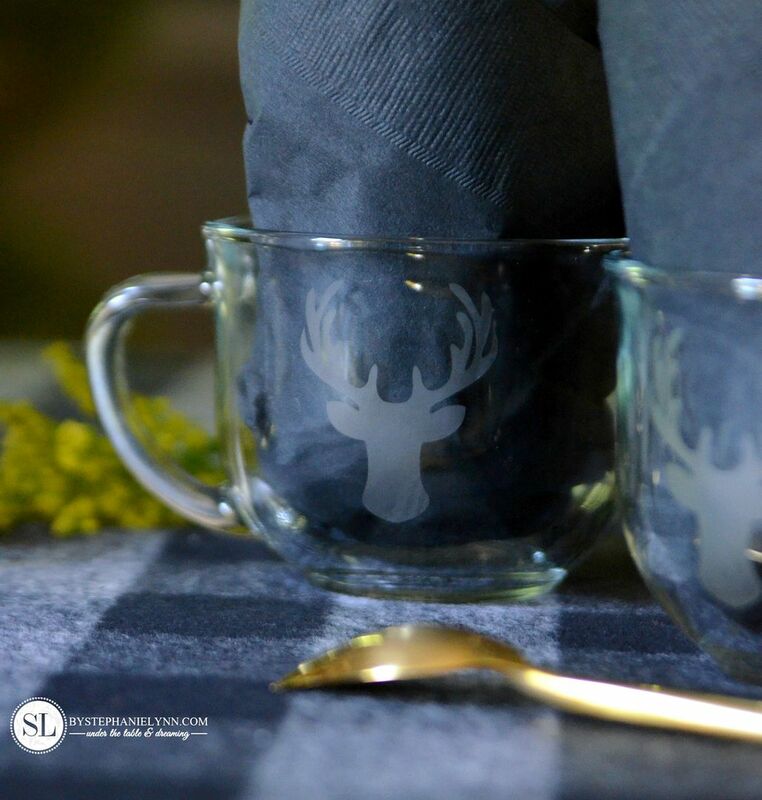 This was another quick, easy and simple craft using stainless tumblers and cut vinyl. 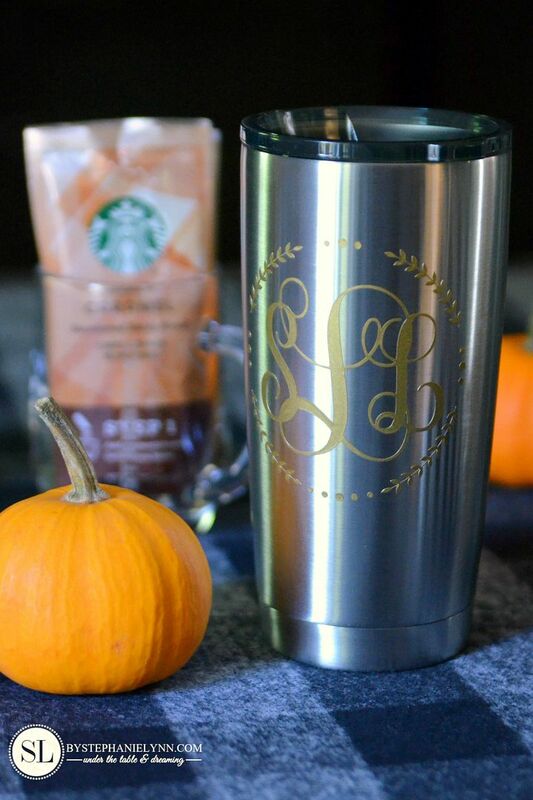 If you do not have access to a Silhouette Digital Cutter, pre-cut letters and monograms can be purchased at your local craft store to embellish. 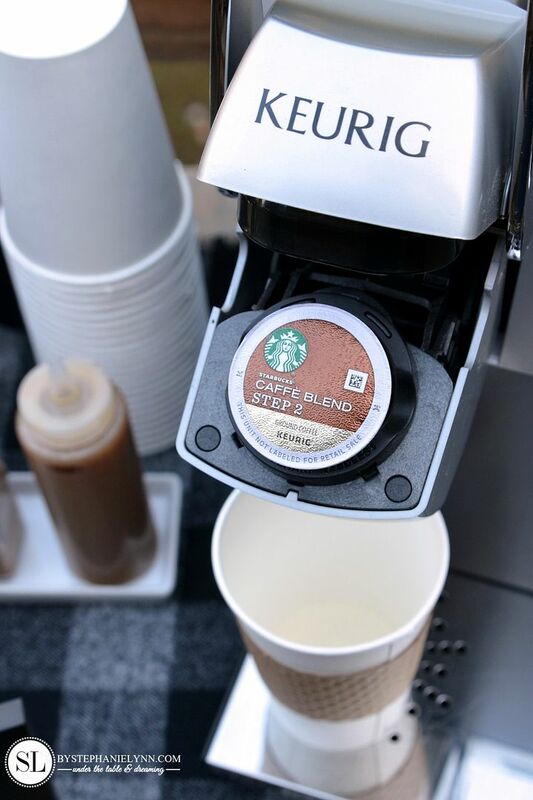 Do you love your Keurig and Starbucks® coffee? 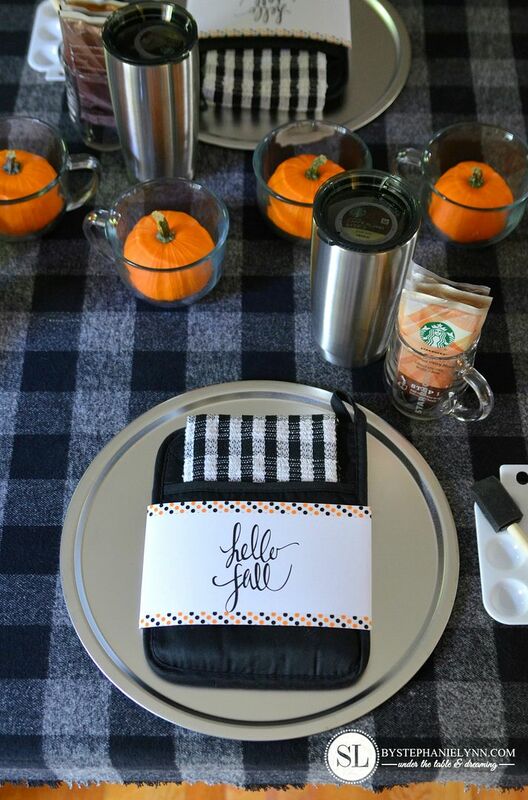 What will you be crafting this fall? Lovely set up and the crafts aren’t as challenging as I thought they would be. 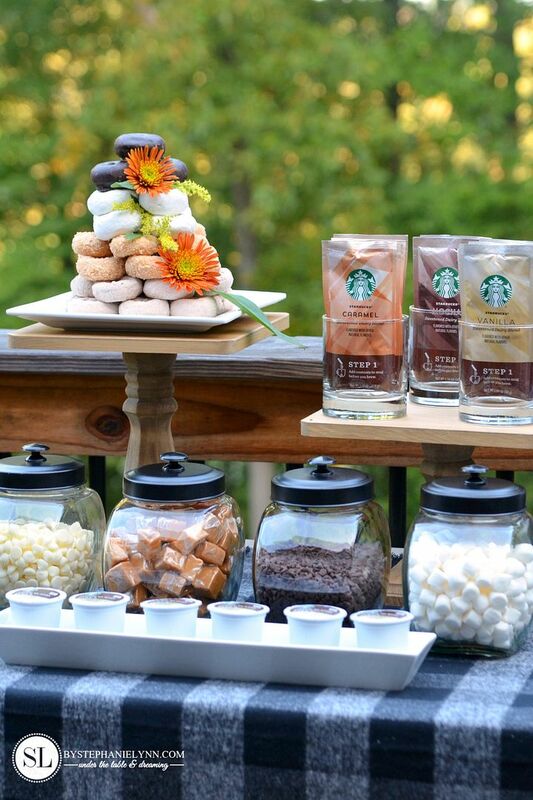 I host a cookie decorating party and a set up like this has inspired me to offers something similar to all of my guests. What a lovely variety of yummy additions to coffee and hot chocolate! 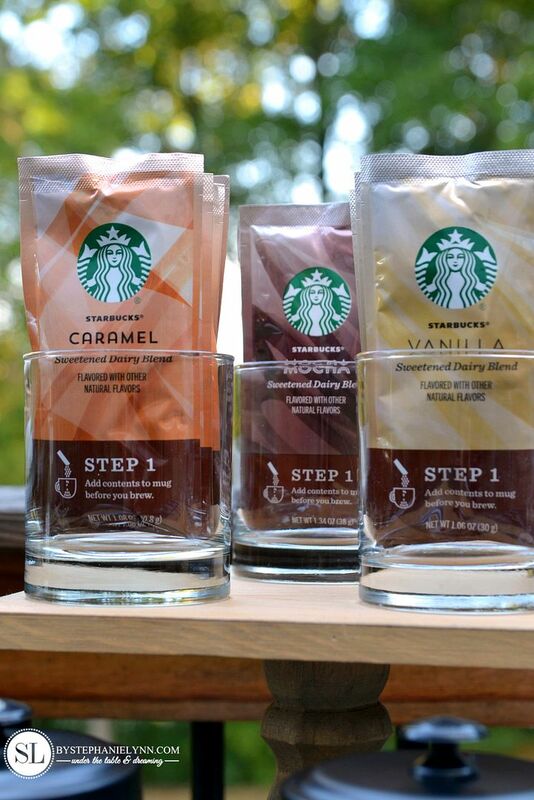 Where can I get the coffee pods and packs? Everything you do is amazing! 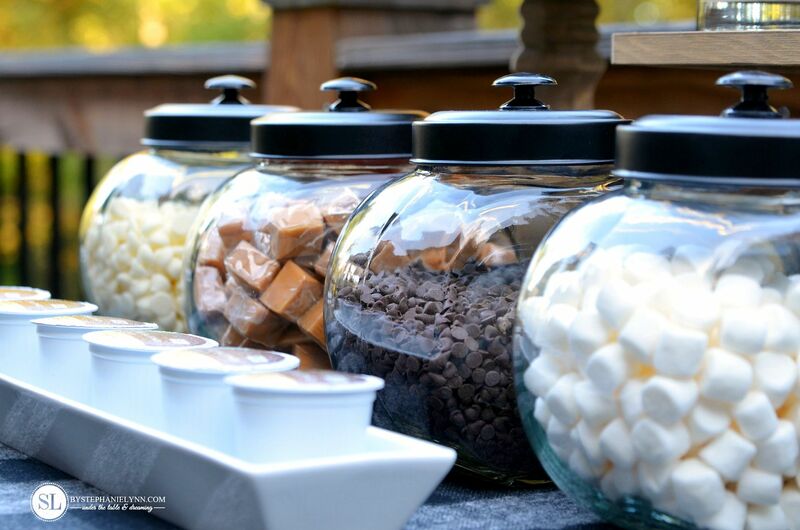 I adore the coffee station and will definitely have to try that glass etching for gift giving this holiday season!